The idea of a no-fault divorce is nothing new. There have been articles, blogs and features in the UK media on the topic for some years now. It has been raised in Parliament, championed by leaders of the family law division and, in a recent survey, 80 per cent of Resolution members said they thought the introduction of a no-fault divorce would help separating couples reach an agreement out of court. But, while there has been much talk on the topic, nothing has really moved forward in terms of a change in the law as it does not seem to be a priority. 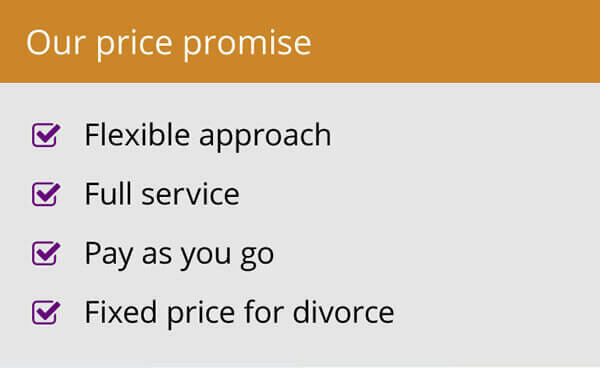 Lawyers at Woolley & Co believe no fault divorce is crucial. They believe it would help couples settle out of court, saving money and court time, as Resolution suggests. But it would also help thousands of children caught in the middle each year by lessening the likelihood of enflaming strained relationships between their separating parents. If they do not have to point a finger of blame in official papers, they are more likely to be cordial and work things out amicably, to the benefit of all concerned. By no means is this one measure a silver bullet. The way a couple behaves is, at the end of the day, down to them. However, not pouring petrol on a smouldering fire will help things – and children will be major beneficiaries. Kathryn McTaggart, Woolley & Co, Solicitors, lawyer based in Cardiff, said: “One of the hardest bits about being a children lawyer can be trying to convince a confused, hurting and angry parent to see the value in a child’s relationship continuing, unhindered, with his or her other parent. “Divorce inevitably focuses people on fault. Where there are good intentions and a sense of resignation, they can be quickly undone when a family lawyer then asks them (is required to ask them) not just to pin ‘fault’ on one person in the disintegrating marriage but, for good measure, focus on the worst examples of their partner’s poor behaviour towards them. “If we want people to positively co-parent after separation and put children’s best interests first, why must we make it so hard for them to look forward? Requiring people to focus on what a bad partner they had makes it twice as difficult to focus on what a good parent they can be. How is it ever going to be good for children to have their parents’ thoughts and emotions focused on the wreckage of a relationship, not their needs now and, more importantly, the shape of their children’s family in the future? 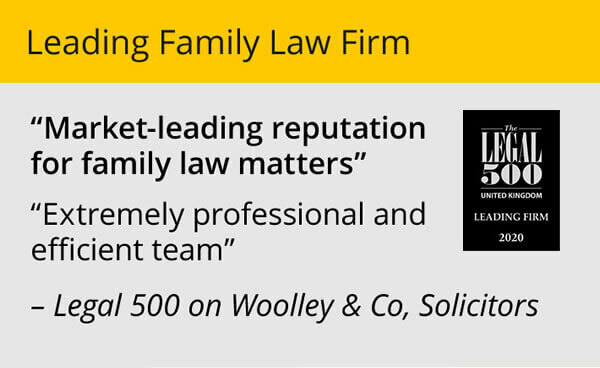 Putting their talk into action to help children in divorce in the absence of a change in the law, Woolley & Co has started working with Voices in the Middle, a charity set up to support children whose parents are going through a divorce. We believe the work they are doing is vital in the bid to make divorce and separation easier on children, and the two organisations are collaborating on new guides for young people – exactly those who would be helped most by a no-fault divorce. 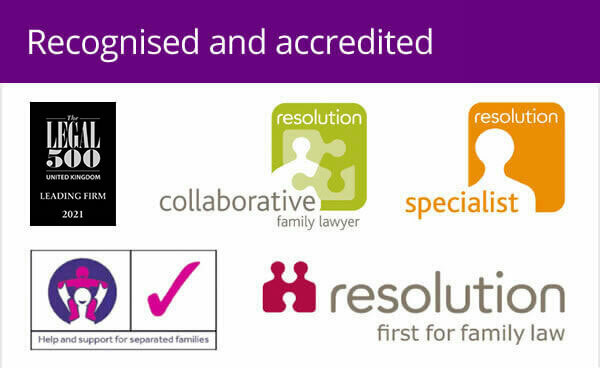 Also supportive of a no-fault divorce is Sue Atkins, parenting expert, broadcaster and author of the Amazon best-selling books “Parenting Made Easy – How to Raise Happy Children” & “Raising Happy Children for Dummies, who thinks it “should be standard”. “I work with many divorcing couples who worry about the damage that going through a divorce can do to their children,” said Sue. “I always tell them that it’s not the divorce that causes the greatest amount of harm to kids, it’s the level of conflict and confrontation that they experience between their parents that cause them distress and trauma, sometimes for years afterwards. “That’s why I’m in favour of a change in the law around no fault divorces. Society has moved away from viewing divorce as shameful, removing the need for one partner to be deemed “innocent” and the other partner “guilty”. “Getting divorced is painful and having to list your partner’s shortcomings just to speed up the legal process only makes the stress worse, and causes the children unnecessary distress too, as it has a knock-on effect on their transition through the process. “Taking the ‘No Blame’ route is not about speeding up the process to make it easier for couples to untie the knot, but moving the law forward to be in step with society. Our divorce law is now over 50 years old! Others in the legal profession believe it is time for a change as well. Lucy Reed is a family law barrister and writes the Pink Tape blog. She said the current set-up forces an attitude to divorce that is in direct contrast to the child-focused approach advocated by all. 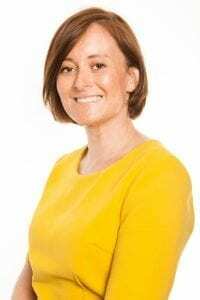 “From the outset, clients are required to adopt a tactical position as a means to achieve an end, namely divorce, and that sort of approach runs counter to the child focussed, de-escalating advice they then receive in respect of children matters,” said Lucy. Not everyone, though, believes a no-fault divorce will have the desired impact. “I do not believe a no-fault divorce would benefit children in any way,” said Soila Sindiyo, Founding Editor of The Divorce Magazine. “I say this because, it is not the grounds for divorce, or the lack of, that impact children of divorce. It is the parents' behaviour and how they handle the divorce vis-à-vis their children that have an impact on them, not the process itself. It seems, then, that while the tide is in favour of a change in the law, not everyone believes it will have the impact hoped. The final word goes to Bob Greig, Director at Only Dads, a national online support and signposting service for parents who are going through separation or divorce. “We have never understood the fault-based divorce system and believe it's time for it to go,” said Bob. “When parents’ divorce, they need to find all the common ground they can if they are to work together to put the interests of their children first. Any barriers preventing couples/ex-couples “working together” need to be removed.